As I inserted USB to my laptops port it encounters an error message "USB Device Not Recognised". Most of the user ask this query so I decided put its resolution here in quite simple words so that every one can easily understand. Read the complete article to fix usb not recognized error in windows 10. You can easily resolve this error by following some steps which is given below. Open the windows Run by pressing windows+r key. Type devmgt.msc and press enter to open the Device Manager window. Now expand the Universal Serial Bus Controller. Find the Faulty USB Device which marked yellow exclaimed mark and right click on it. Hit on Properties from the opened list. Click on General tab from menu bar. Note: - The USB not recognize error may be resolved by just simply updating USB driver. 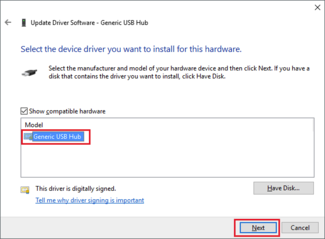 To know how to update usb driver in windows 10 follow the steps given below. Right click on Generic USB Hub. 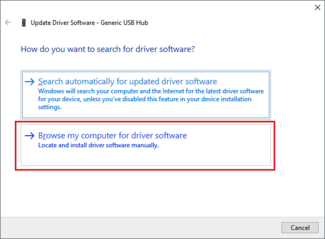 locate the Update Driver Software and click on it. Now hit on the Brows my Computer for Driver Software. 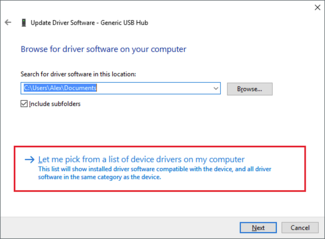 A pop up window will appear which list all drivers in the device. 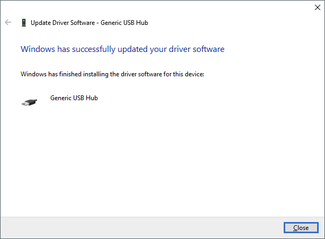 A new window will appear, select the Generic USB Hub and click on Next. 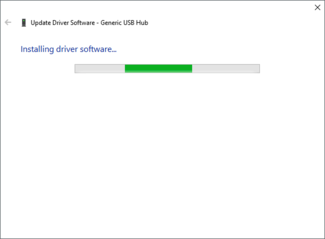 Now the window will start to reinstall or update the USB drivers and also show the progress report. A successful message will appear in the new pop up window, now click on Close to complete the process. Note: - Repeat the process for all faulty usb‘s and try to connect again. I am sure that after reading this article you are able to resolve the USB not recognize error in windows os. But sometimes, the problem led to data loss situation. In such cases, you have to run a specialized usb drive recovery tool so that you can overcome from data loss situation. Do not play with data as we all know data is essential for you and your business so keep installing recommended tool!! !